This is honestly one of my favourite cakes I have made yet! I am the biggest coffee fan and wanted to make a coffee cake for ages! 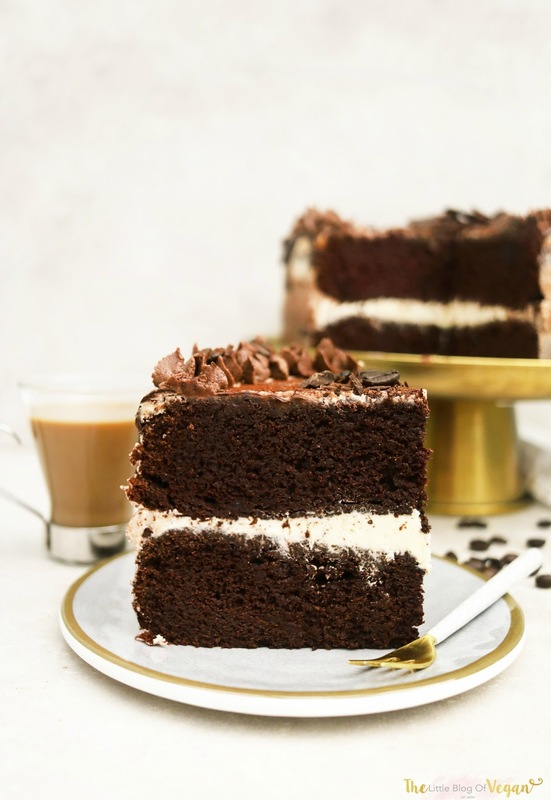 I have combined coffee & chocolate to create this decadent (and extremely moorish) chocolate coffee cake with a light coffee buttercream frosting, a latte cream filling and a dark chocolate drizzle. 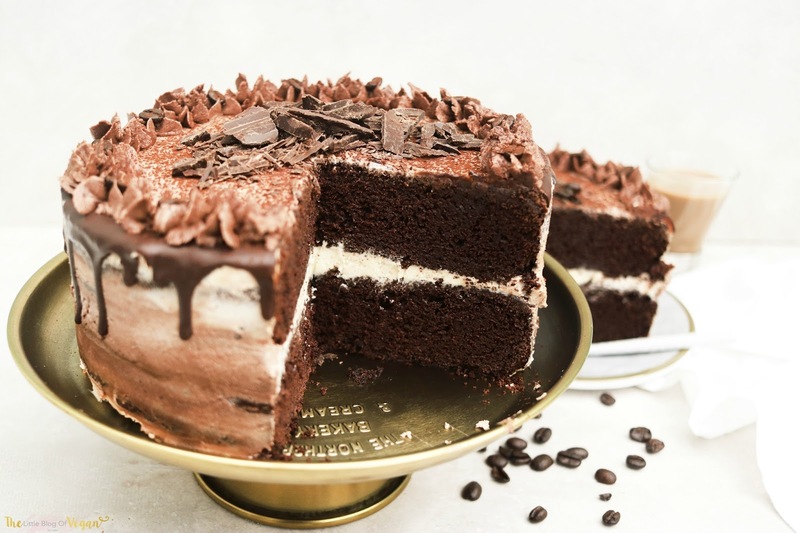 The chocolate cake is light, crumbly, moist...just the perfect chocolate cake! Plus, how stunning does it look *drooling*!!! I did a light crumb coat for this rustic effect and added some little stars with left over buttercream. I think it looks bakery style and I love it! 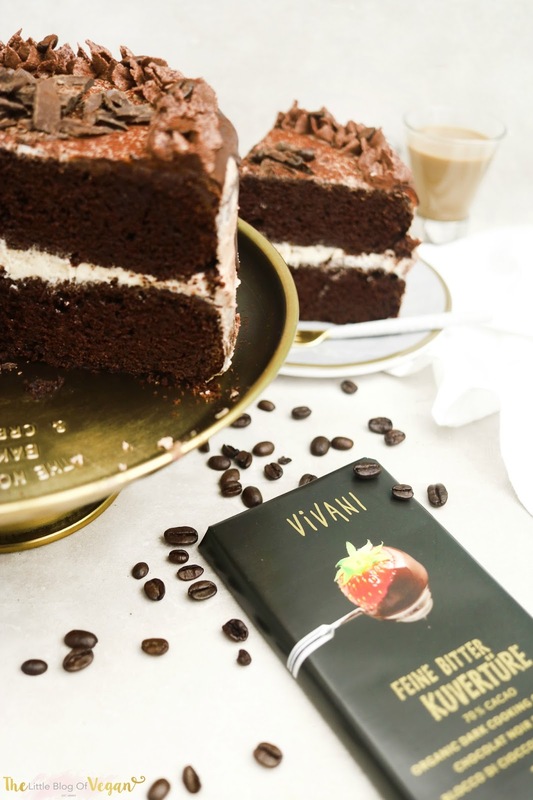 This cake incorporates one of my favourite chocolates...VIVANI! You can read about Vivani on one of my previous blog posts here. 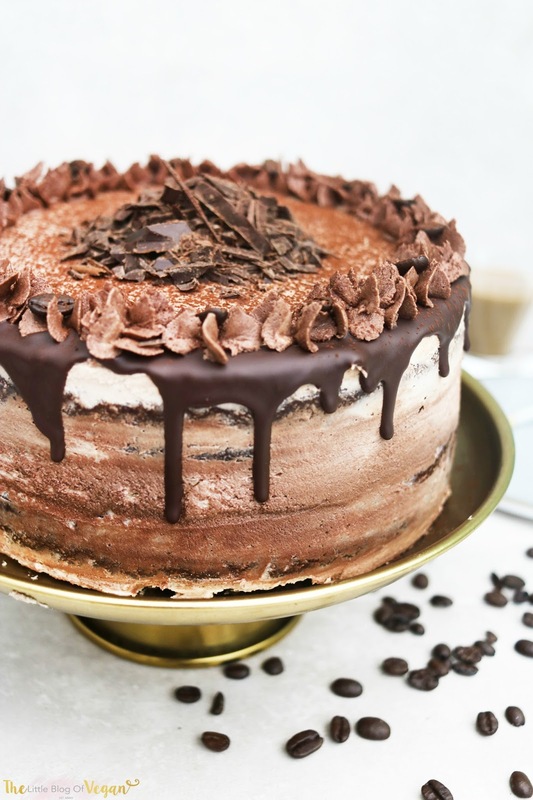 I used the Vivani 70% dark cooking chocolate to create this mouth-watering cake. It's easy to melt and tastes delicious! It's rich, creamy and luxurious. Vivani chocolates are always high quality and never fail's to impress, especially this cake...YUM! This cake is easy to make and would be the perfect treat for an afternoon tea or special occasion! It's one of the best cakes I've ever enjoyed. I love this recipe so much and I'm extremely happy to share it with you all! 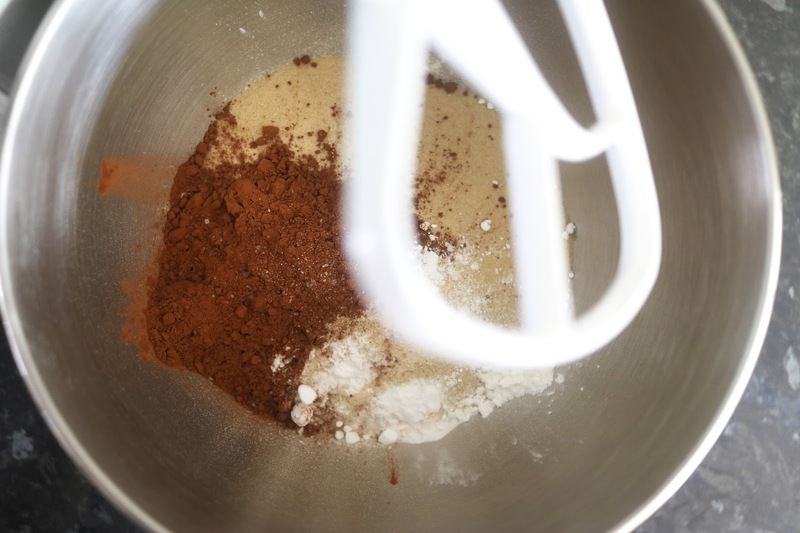 Step 3- In a large mixing bowl, sift the flour, sugar, cacao powder, coffee powder, baking powder, bicarbonate of soda and salt. Step 7- Pop the cakes into the preheated oven and bake for 28-30 minutes. 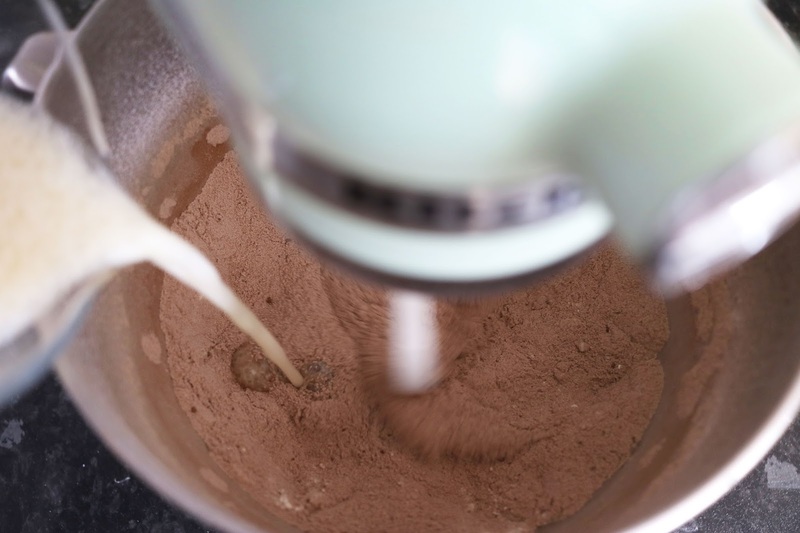 Step 1- In a bowl or stand mixer, cream the butter on high then add in icing sugar, vanilla extract, coffee and cocoa powder. I crumb coated the cake with the coffee buttercream then patched on some of the left over latte buttercream for this rustic effect. 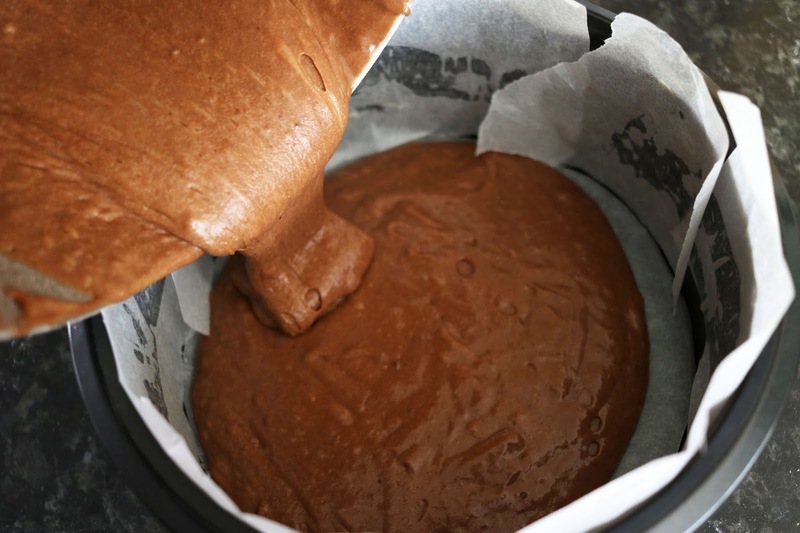 Step 5- Once the frosting is firm, I decorated my cake with some extra frosting in a piping bag fitted with a Wilton 2D tip and added some stars around the top of the cake, a drizzle of melted Vivani chocolate, a dusting of cocoa and some grated Vivani chocolate & coffee beans. This cake looks so good. It's perfect for my son who has food allergies. I just wonder if you have any suggestion as far as the self-raising gf flour because I couldn't find any where we live. Thank you! This looks amazing! Going to have a go at making it today for a birthday cake! Though I'm a little confused about the frosting - do the ingredients listed for frosting make the latte buttercream or coffee buttercream? 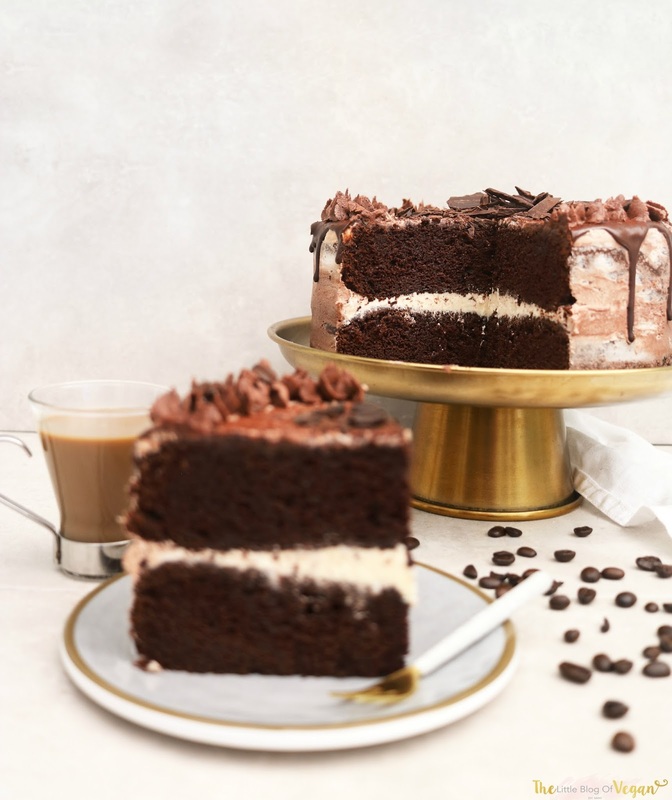 You mention crumb coating with the coffee before using the leftover latte buttercream but the recipe seems to only make one type of buttercream? Isn't 490gr of sugar too much?